Chennai, Aug 19 (IANS) Notwithstanding differences, both the factions of the AIADMK on Saturday expressed confidence over their merger in two days, but a leader of the group led by former Chief Minister O. Panneerselvam maintained that expulsion of V.K. 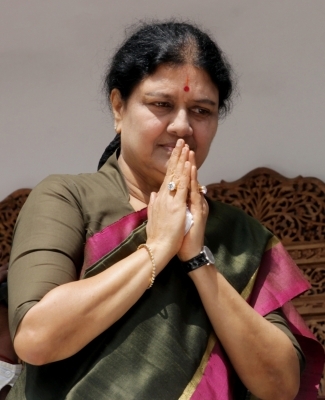 Sasikala from the party was a basic requirement before they can come together. The much-talked about merger, which appeared a done deal on Friday evening came unstuck apparently due to persisting differences over Sasikala and other issues. Saturday began with Panneerselvam asserting that talks on the merger of the AIADMK factions are going on “smoothly” and a “good decision” will be out in a day or two. “There are no differences in the AIADMK and the talks for the merger as desired by the people of Tamil Nadu and cadre of AIADMK are proceeding smoothly. As early as possible and in a day or two, a good decision will be reached,” the former Chief Minister told reporters in Chennai after consultations with leaders supporting him. He said they were working towards protecting the organisation founded by MGR and carried on by J. Jayalalithaa and to follow the path shown by them. Panneerselvam met reporters again in the evening and reiterated that the talks are proceeding smoothly and a decision on merger would be achieved in a “day or two”. “Tomorrow or the day after you will get the news that you are expecting,” he said. Replying to questions, he said there were no conditions and maintained that “we will not be responsible for fall of the AIADMK government”. Almost in parallel, Chief Minister K. Palaniswami echoed similar views in Tiruvarur in Tiruvarur district, saying differences that arose in recent times had created two groups in the party. “But now through talks these are being resolved. Soon both the groups will merge,” he said. However, an OPS group veteran K.P. Munuswamy struck a hardline position saying expulsion of Sasikala, a close aide of late Chief Minister Jayalalithaa, was a basic requirement in the interest of leaders and cadre of AIADMK. He said he was not an obstacle in the path of merger but he admitted that he took a hardline position to put “pressure”. Munuswamy said he and other party leaders would abide by whatever decision Panneerselvam takes on the merger. Meanwhile, the loyalists of Sasikala’s nephew T.T.V. Dinakaran warned of replacing Chief Minister Palaniswami if Sasikala is removed as General Secretary and expelled from the party on the lines of removal of Dinakaran from the Deputy General Secretary’s post. Another leader of the Dinakaran group, Nanjil Sampath said there was no need for merger of the two groups as the government has the support of 136 MLAs and nothing would be gained out of it. Panneerselvam’s remarks assume significance in the context of the resumed parleys between his faction and the other headed by Chief Minister Palaniswami for the merger. On Friday the two factions were almost close to the merger and an announcement was expected at the Jayalalithaa memorial on Marina beach but last minute complications delayed such a possibility. The Chief Minister on Thursday had announced a judicial probe into the death of Jayalalithaa and converting her residence in Poes Garden as a memorial which was aimed at paving the way for merger between the two factions.